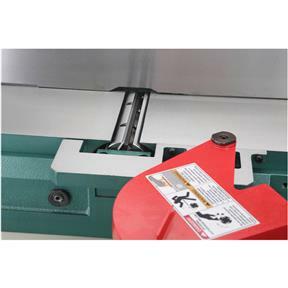 This 8" Jointer is popular among both professional and hobbyist woodworkers. The 76-1/2" table with extra-long infeed table and the huge fence will make sure your stock is cut accurately. 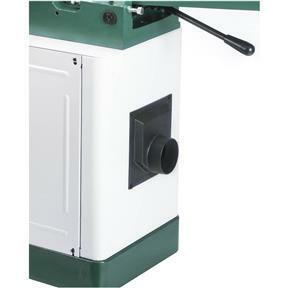 The easy to reach pedestal-mounted switch and lever-controlled table elevation make this a joy to operate. Our foot-pedal operated, built-in mobile base will allow you to keep this monster out of the way and still easily move it when needed. We made the welded steel cabinet oversized for an incredibly stable platform. This machine will gobble up wood with ease and produce smooth, straight, and flat stock all day long. 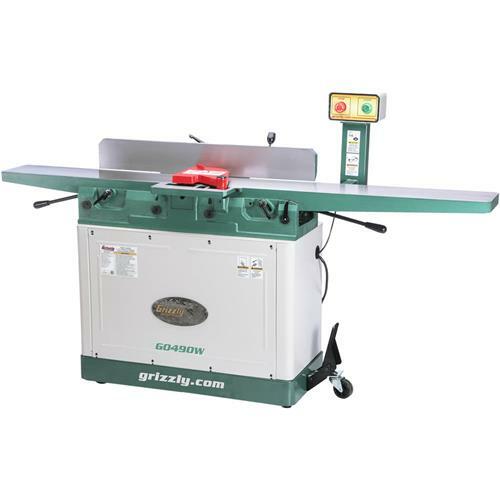 Total table size: 8" x 76-1/2"
Cutterhead knives: 4 HSS, 8-1/16" x 3/4" x 1/8"
This is an excellent machine! Between a friend and I we were able to place the bed assembly onto the base, this jointer is exceptionally heavy. The only adjustments I made were making the beds precisely co-planer. I also mounted the controls on the side of the base opposed to the tall mount it comes with, I just bored a couple of holes and used bolts, nuts, and lock washers. Lastly I replaced the power cord with a 15FT long cord. It works flawlessly and is a true beast, thanks Grizzly! Beds were darn close the perfect right out of the crate, very impressed. The base cabinet came damaged and the grizzly customer support team made it right very quickly. Be sure to check the m edge of the fence for burrs that will scratch ever piece you joint, a quick file will take them off. Absolutely amazing customer service! Product works amazing. Third Grizzly product and couldn't be happier. Only thing that made this purchase better was the Byrd tool segmented head which I ordered separately from Grizzly. I love this thing!!! Right out of the box it was set up so that I only had to make minor adjustments. What's there not to like? 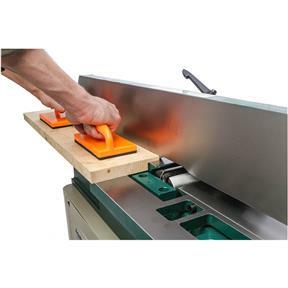 This jointer does it all. The machine is well built and will more than deliver what you need or expect. 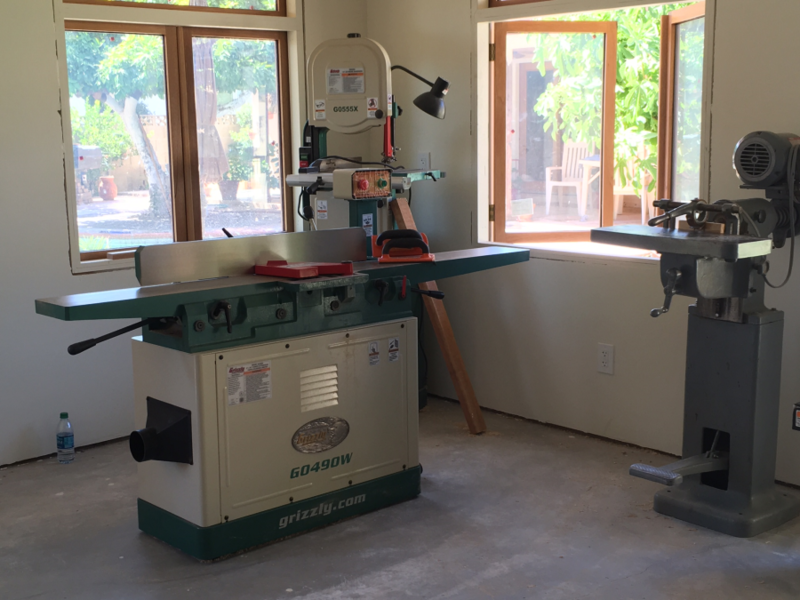 As an amateur woodworker, I build the usual suspects such as furniture, cabinets, wooden boats, and entry doors. The extra length for the bed is a decided advantage for door construction. The stock needs to be absolutely flat and square. This machine has the power and the bed. I am satisfied with the 8 inch jointer as it does everything I expected it to do. 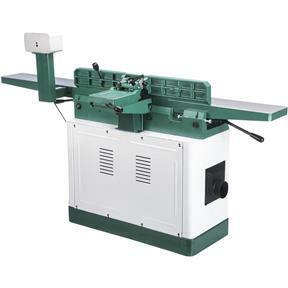 I am disapointed that I had to wait while it was on back order and when notified it was in and I ordered it the same jointer went on sale with the spiral head for only a few dollars more than I paid for the one on back order. 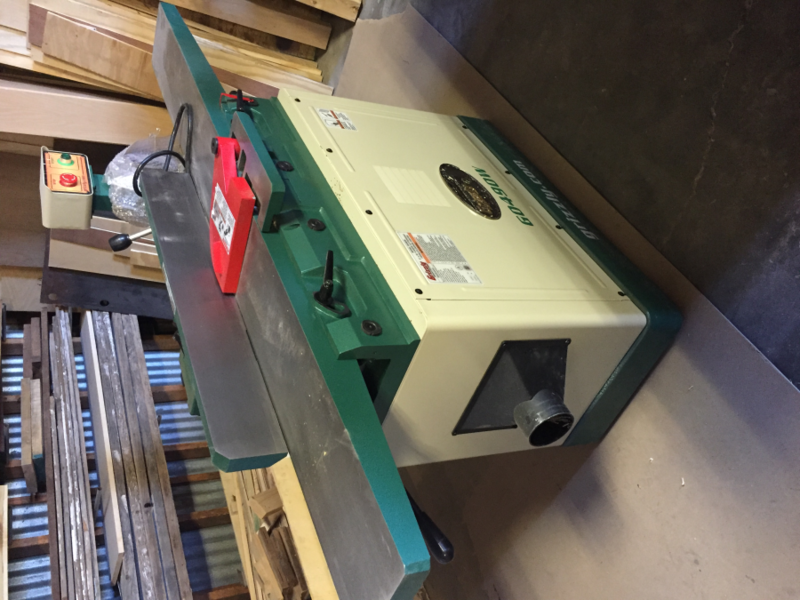 I bought the 8" jointer to upgrade from a 6". Very happy with the machine. It's like night and day. I have has this planer for 2 years and like it. I work with a lot of large heave stock and the long bed makes material handling much easier. 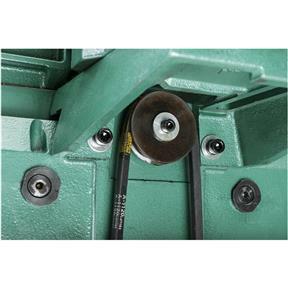 I would recommend the helical cutter head model over this one. you really have to slow down your feed rate to avoid ripples in the finish. 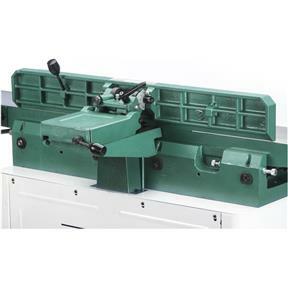 My only gripe is that this is one tedious machine to set up, specially if you don't own a 4' machinist's straight edge. All in all it is a good solid machine that is capable of making exact 90* stock once set up properly.